A financial crisis, a divorce, losing your job or a loved one, a health scare�we all face painful, life-shattering events at some point. They can leave us feeling drained and drowning in depression. 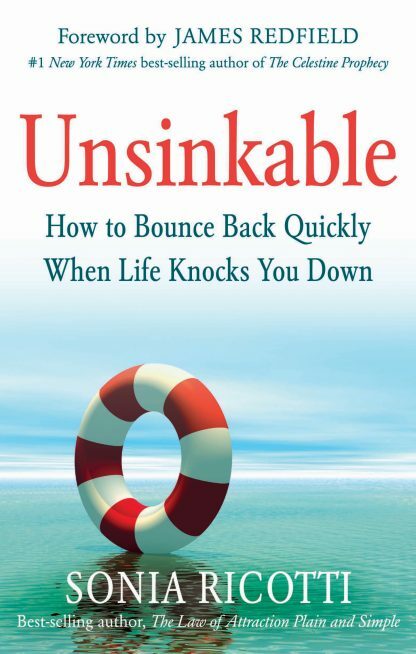 Author Sonia Ricotti draws upon her own experiences, as well as those of other high-profile self-help leaders, to help you overcome these difficult situations with ease, and bounce back quicker and higher than you ever thought possible. Powerfully move forward, take action, and create the life you deserve. Transform your way of thinking�and feel better now. Release your negative past experiences and create a new and exciting present and future. Sonia Ricotti is a leading expert in personal and professional transformation. She travels around the world as a top-rated professional speaker, inspiring people everywhere to live their greatest lives, and has shared the stage with some of the biggest transformational experts of our time. She is also the #1 best-selling author of The Law of Attraction Plain and Simple: Create the Extraordinary Life That You Deserve. Ricotti is the president of Lead Out Loud, a company that offers inspirational products, videos, and workshops that transform people�s lives. She is also the creator and host of the popular Be Unsinkable Teleseminar Series, in which she interviews some of the biggest transformational leaders from around the globe. Ricotti has also become a YouTube sensation with her inspirational videos, viewed by more than 3 million people around the world. She believes in giving back and has participated in and led several humanitarian trips around the world.